Are you planning on bringing home a puppy with an Irish heritage? Then you’ll want a great Irish dog name! Naming any new pet is a fun, creative process, and naming a new puppy can be the starting point for a long, happy relationship. Choosing a name for a new puppy, and sticking with it, is also important for your puppy’s wellbeing. 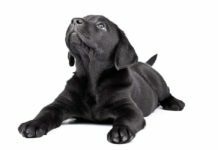 Whether or not you’re going fully train your puppy, it’s important that you are comfortable with the name you pick, and that your pet grows accustomed to it as well. If you’re in need of some Irish dog names, we’re here to help. 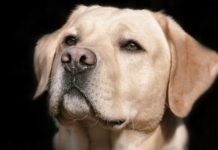 We will talk about some of the common traits that span the range of Irish dog breeds, and then dive into some ideas for Irish girl dog names, Irish boy dog names, cool names, cute names and unique names. 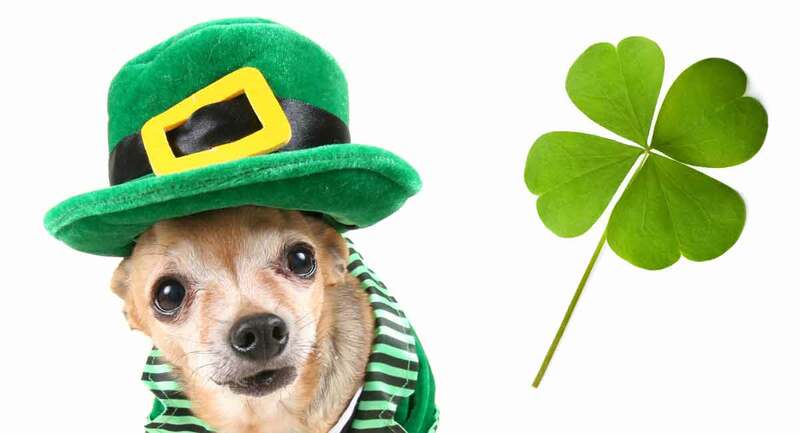 While looking through our several lists for Irish dog names and their Irish name meanings, you might find a name that strikes you as the name. Or, our name ideas may point you in the right direction for deciding on your own name. Either way, we’re here to guide you through the process of naming your new Irish puppy. Of course, Irish dog names don’t have to be restricted to Irish dogs, but just for fun here are some of our best-known Irish dogs breeds. When discussing our Irish dog names, we’ll be keeping in mind the characteristics of the wide range of Irish dogs. Some of these breeds include the Irish Setter, Irish Terrier, Irish Water Spaniel, Irish Wolfhound, and the Kerry Beagle, to name a few. We’ve found a great blend of Irish dog names that take inspiration from their often-cited unique combination of tough athleticism and tender personalities. These traits shine through from the name’s sound and pronunciation and, in many cases, their traditional meaning (provided in parenthesis, when appropriate). Now, let’s begin with our Irish female dog names! Starting with this and the next list on Irish male dog names, we’re going to take a look at some Irish names that may be familiar, due to their popularity. There are also names here that don’t necessarily have a quickly identifiable meaning—such names will be addressed in full in later sections. 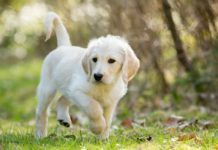 For now, let’s take a look at some popular Irish dog names and traditional Irish names for female puppies. Looking for even more female dog ideas? Check out our article on female dog names. Similar to the previous list, we’ve made a point of including Irish boy dog names that may be most familiar. Along with other Irish names to give you a first taste of more traditional Irish names. Let’s look at our Irish boy dog names! Want even more male dog names? Look at our article on male dog names. Starting with this list, we’ll dive into Irish dog names with many fascinating meanings. Some of the most common Irish name meanings are “champion,” and others relate to war and nobility. These names will also have a less cutesy look and sound than those we will see in we’ll see in the next section. For even more cool dog names, check out our article on cool dog names. Here we have another host of Irish pet names with great meanings. Specifically those that are short and sweet sounding, with fewer syllables and arguably more melodic sound than some of our other “cool” and “unique” names. There are many options here for both Irish girl dog names and Irish boy dog names. Want even more cute dog names? 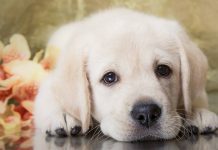 Take a look at our article on cute dog names. The Irish dog names below have dazzling meanings, some of which overlap with previous names. A key distinction for this list is the more unusual pronunciation these names carry with them. If you’re feeling particularly adventurous in your hunt for a good Irish dog name, this is the list for you! 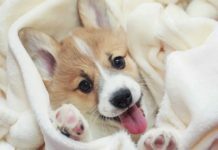 For even more unique dog names, look at our article on unique dog names. We hope this article has provided you with a helpful range of good Irish dog names. The Irish dog breeds we’ve discussed provide much inspiration in the naming department. 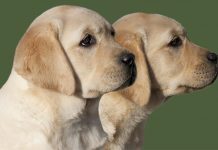 With their winning combination of unique personalities and appearance, and their rich Irish heritage, there are many Irish dog names to choose from to best fit you and your Irish puppy. Did You Choose an Irish Dog Name? Which did you go for? Please tell us in the comments box below! Next articleAre Labs Good Guard Dogs – Can Labradors Tell Friends From Intruders? We Love all of our Irish fur babies.